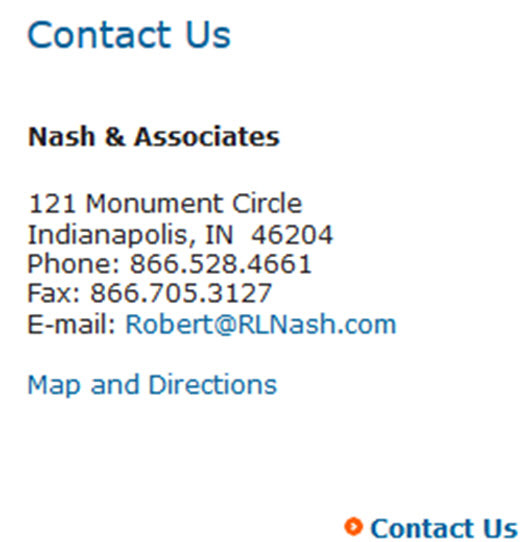 Nash & Associates is located in downtown Indianapolis. We provide unbiased, sound, comprehensive financial solutions designed to take you and your family through all the stages of your life. From creating a strong financial foundation to avoiding common pitfalls and prospering in periods of economic downturn – we help identify your needs and provide complementary solutions to help you take action today. For most people, a comfortable retirement lifestyle is their primary personal finance concern. The main question is this: will you be able to enjoy your family and free time without fear of running low on cash and assets? Whether you are transitioning from a professional career or selling your business, we have the experience to help you plan for the lifestyle change. Retirement planning and investment management may feel more complicated than they’ve ever been. How can you plan for a comfortable retirement with all of these complex financial decisions in your way? 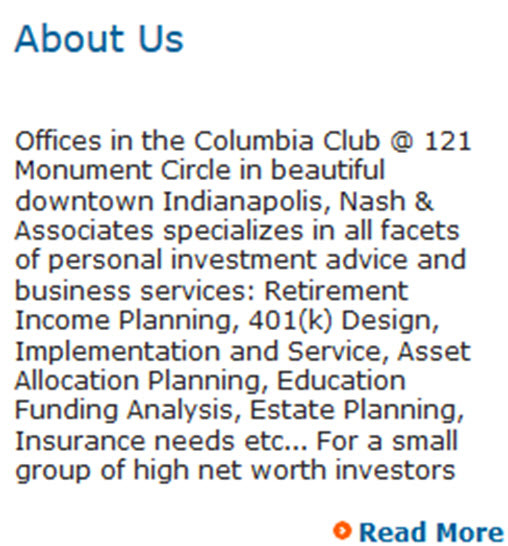 Whether you’re accumulating wealth for the future or in need of income while in retirement, we can help. Financial planning is often stereotyped as a daunting task similar to doing taxes, but it doesn’t have to be. We will make planning for your future as simple as possible. No matter how complex the financial situation, we will communicate in financial terms that are easy to understand, so you can make prudent decisions that are important to you and your loved ones. We know the ins and outs of personal finance. 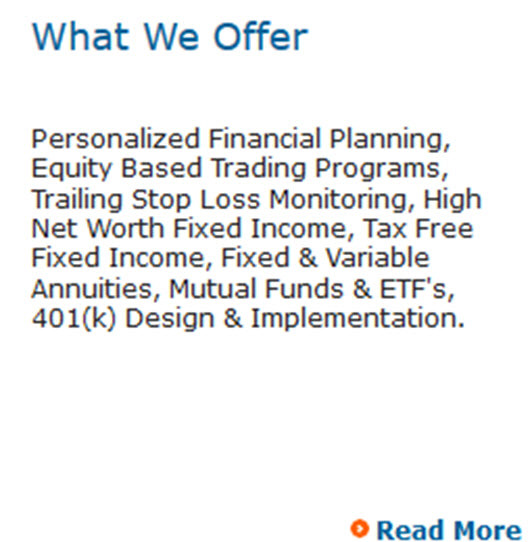 We consider your complete financial picture, from investment planning, 401k retirement plans, and insurance to what other financial advisors may be doing on your behalf. We determine if there are opportunities to explore or gaps that have left you open to risk that could jeopardize your lifestyle. We communicate these opportunities and risks, and provide you with easy to understand options to help your assets work more effectively for you. This will also analyze the consequences of changing goals (i.e. retiring early, long-term care expenses, buying a vacation home, spending more during retirement, cashing out life insurance, purchasing long term care insurance, and so on).